On May 21st, the first day of the ENOFORUM 2019, the results of the first 2 years of the ValorInVitis project will be presented during the dedicated session. The intervention will focus mainly on varietal biodiversity. The session will startwith the presentation of Dr. Tommaso Frioni (DI.PRO.VE.S., Catholic University of the Sacred Heart of Piacenza) "Enhancement of minor grape cultivars in response to the changed climatic conditions" which will present the results of Action 2 aimed at evaluating the adaptability of Piacenza's minor grape cultivars to climate change. 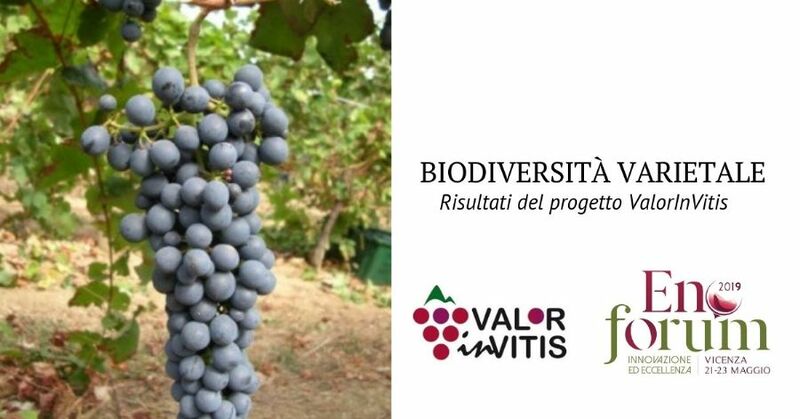 In the second report, Prof. Matteo Gatti (DI.PRO.VE.S., Catholic University of the Sacred Heart of Piacenza) will talk about the potential of the Ervi grape variety, born in the 70's from the intersection of Barbera and Bonarda, and of the opportunity that that vine could offer for the viticulture of "Colli Piacentini" wine district.